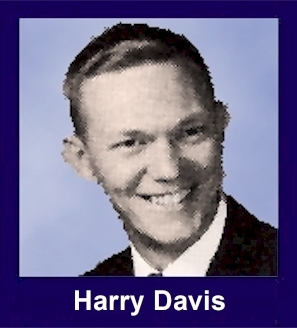 The 35th Infantry Regiment Association salutes our fallen brother, 1LT Harry Lee Davis, who died in the service of his country on April 4th, 1967 in Binh Dinh Province, Vietnam. The cause of death was listed as Helicopter Accident. At the time of his death Harry was 24 years of age. He was from Denver, Colorado. Harry is honored on the Vietnam Veterans Memorial at Panel 17E, Line 98. The decorations earned by 1LT Harry Lee Davis include: the Combat Infantryman Badge, the Bronze Star with V, the National Defense Service Medal, the Vietnam Service Medal, the Vietnam Campaign Medal and the Vietnam Cross of Gallantry with Palm Unit Citation. 4 Apr 67: Recon made CA into LZ Bill, vic BR 727687. While guiding in a HU-ID, Lt Harry Davis was struck in the head by the main rotor blades. Sp4 Smith rushed to his aid and was also struck in the head. Smith died en route to Qui Nhon; Lt Davis died that night. The chopper was secured for the night pending investigation. A 24-year old Denver Army lieutenant was killed in Vietnam. Funeral arrangements are pending for 1st Lt. Harry L Davis, a son of Mr. and Mrs. Frederick M Davis of 2224 S. Newton Street. Davis' parents said Saturday they had not received details of their son's death except that he was struck in the head by a helicopter blade. Davis was born May 15, 1942. He graduated from West high school in 1960 and from Colorado State University with a major in political science in 1965. Davis entered the Army in January 1965, receiving his Basic, Ranger, and Airborne training at Fort Benning, GA. Besides his parents Fred and Grace, Davis is survived by two brothers, Gary, 18 and Larry, 12; his paternal grandparents Mr. and Mrs. Webster Davis of Englewood; and his maternal grandmother Mrs. Roxie Wright of Buckeye, AZ. Services will be in the Bullock Colonial Chapel. Burial will be at Fort Logan National Cemetery with full military honors.